Day by day Muslim in Russia is increasing. Yes you hear the true thing. Putin expressed satisfaction over the increase in the number of mosques in Russia. Russian President Vladimir Putin expressed satisfaction in increasing the number of mosques in his country. He expressed this satisfaction at a meeting with Russian Grand Mufti Talat Tajuddin. The meeting was held on Wednesday night in Ufa city, capital of Russia's southwestern Bashkortostan (Republic of Bashkortostan) region. In the meeting, President Putin said that in 2000, there were only 16 mosques in this republic, but now that number has been upgraded to 1,200, officials told him. He mentioned that the process is satisfactory. Vladimir Putin said that because of the increase in the number of mosques in Russia, it is understood that Islam is spreading in this country. The meeting was held at the residence of Russian Grand Mufti Talat Tajuddin. In the meeting, discussions about the history of Islam entering Islam and the spread of this divine religion. 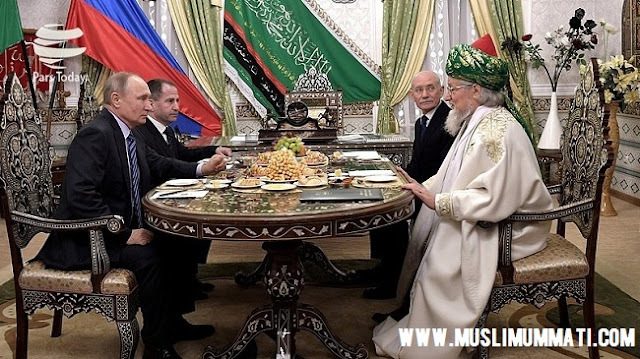 Before the meeting, President Putin visited Ufa Jami Mosque. Bashkortostan is one of the Muslim-dominated republics of Russia. The population of this republic of about 1.5 million square kilometers is about 50 million. In addition, there are more than 2 million Muslims in Russia's 14.6 million population.